This is the second or third time I’ve tried to put everything down on paper. Three years later, the loss of my first daughter is still just as painful and emotional as day one. The pain and emotion have changed and evolved, but it is ever present, and I hope it never leaves. For the next 5 years we became acquainted with infertility and the depression that follows. We tried everything, and had zero success. Was our dream to remain a dream? We realized it would be a difficult road. A difficult road filled with more setbacks, sadness and misguided dreams, but we were determined. We spent hundreds of hours researching fertility and pregnancy, saw 3 different Fertility Doctors in 2 different States, took hundreds of medications and supplements, tried natural medicine, and finally had 2 separate IUIs and 3 IVF treatments. In the summer of 2015, we had our first IVF embryo transfer. I couldn’t believe it had come down to IVF, but for some reason, after our first IVF transfer, I knew Jenny was pregnant. I knew it. I could just sense it, and she could probably feel it. When we got the phone call from the Doctor to confirm our belief, we were elated, and we were ready to make our dream come true. We soon found out it was a girl. A daughter. My baby girl. We decided on the name Addison Capri. Jenny was the best pregnant Mom in the world. Haha. I don’t say that lightly! We spent an exuberant amount of money on recommended supplements and healthy, appropriate food for her. She wouldn’t eat certain ‘normal’ food, and I think a handful of restaurants and family members secretly hated us when we came over to eat. But we really didn’t care. We had a dream, and we were here to make this dream a (healthy) reality. 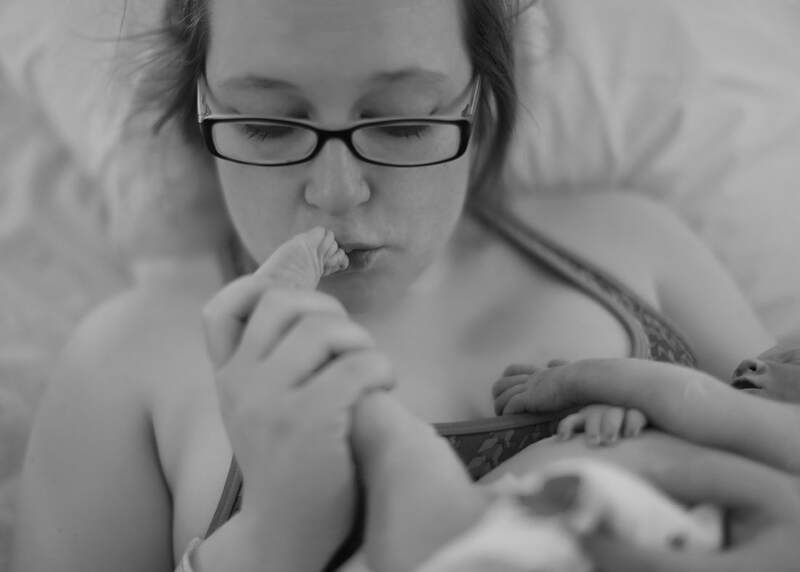 As a NICU nurse, Jenny has seen the good and the bad, the sick and the healthy. We had fought so dang hard for this pregnancy, and we were determined to do everything on our end to make it successful. We fought and worked on it every single day. It was a massive priority for us. Until it was all stripped away. I stammered for a minute in complete disbelief, promising her everything would be ok, and that they couldn’t be right. I sped the 13 minutes to the hospital, not even waiting for the elevator once I entered the hospital. I ran in, onto the wrong floor, and just collapsed onto the nursing station on the third floor. Somehow the Hospital Chaplain was there, and he quickly took me aside and escorted me to the correct floor to see Jenny. I only remember sinking into Jenny’s arms and sobbing together. How could this be? A perfectly healthy Mom & Baby? More than 32 weeks along? Nothing bad is ever supposed to happen this far along. How could they not see this on the millions of ultrasounds? Why aren’t they doing something? Maybe everything will still be okay…..Maybe. The next couple days were spent drenched in tears and filled with anger. By God’s grace we had the best nurses by our side, nurses that we still keep in touch with today. 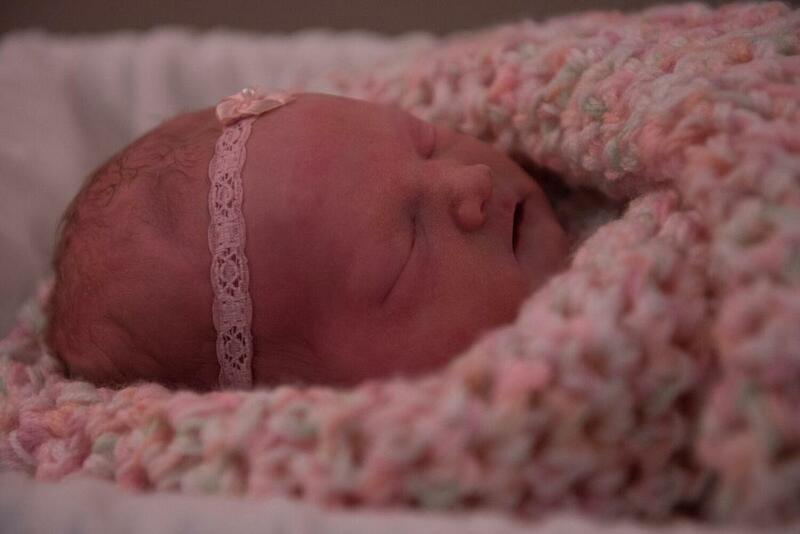 Jenny bravely delivered our perfect daughter, Addison Capri on April 14 2015. She was so beautiful. The perfect little nose. She had blonde hair in tight little curls. The Doctor described the loss as a complete fluke. 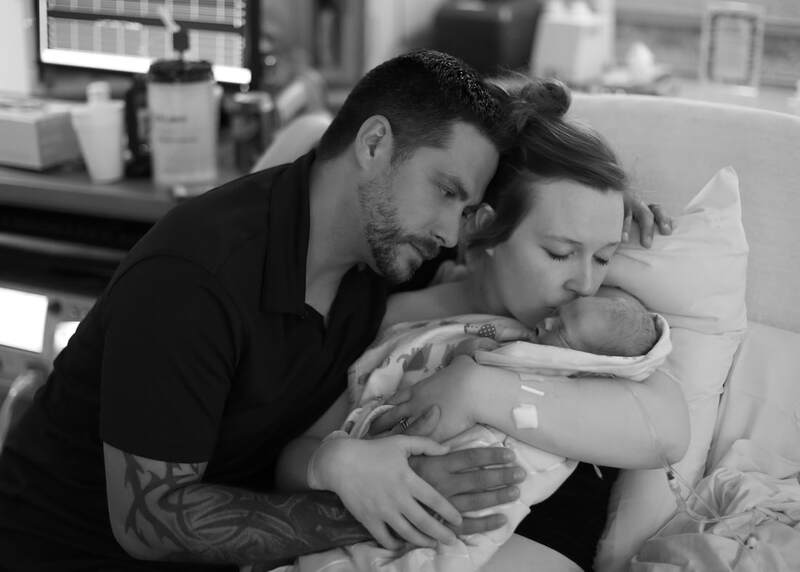 Addison had a cord issue called ‘velamentous cord insertion’, and it had twisted so tightly at the point of the insertion on the placenta that it cut off all blood flow and nourishment. It was undetectable, unpredictable and unbelievable. ​We spent as much time as possible with our daughter. Unfortunately, they had to take our daughter to the morgue to prevent any further decay. At this time, I vaguely remembering calling a funeral home and making arrangements, a phone call I never could of imagined making at 27 years old. I was going to bury my own daughter, and I was only 27. A loss like this is simply indescribable. The hopes and dreams you had with your baby are now shattered. The ‘what if’s’ are the most difficult for me, personally. Nobody quite understands the little things, like why Holidays are difficult, or why a certain song brings tears, or why some jokes simply aren’t funny, or why life will never be the same. Society and family members can be spiteful, uncaring, and insensitive. Many expect you to move on like it never happened. Like your child never existed. It’s a personal journey, and I hope to never forget the pain and sadness, because I am feeling something, and my daughter is a huge part of life. Through IVF in late 2017 we were blessed with boy/girl twins, Harrison and Hadley Capri. It’s so much fun to tell them about their older sister Addison. We tell them about the memories we made when Addison was in Mommy’s belly. We show them her grave site and celebrate birthdays and include Addison in everything we do. We kept some of Addison’s early toys, and we give them to our kids as ‘hand-me-downs’ like normal kids would get from their big sisters. Some days are a real struggle. I am very involved with my kids’ lives, and I often look at my little Hadley, who is almost 2, and I think what if. What if you are just like your big sister? What if you had your big sister here with you? It breaks my heart every time, but I know I will see my daughter Addison again, and my kids will be with their sister again. As an emotional guy, I felt very left out during our loss. From family, friends, and the entire bereavement community. I’m hoping to change that by volunteering with Little Joys. I started volunteering in order to give back and use some of my talents to help others. I have found such strength working in my daughter’s name and for such a great cause. What a joy to give families a few more hours with their kids. This is the first time I've ever written Kylee's story. The first time it will ever be heard. I know she is my angel keeper and watches over our family. She is loved as much as they day I found out I was pregnant with her. She is our Angel. I remember the day like it was yesterday. This year, February 3rd marks Kylee's 11th birthday. Kylee's dad, David, was active duty in the Navy at the time and I was a working mom as well as a mother of 3 older boys. September we did a pregnancy test and it was positive! I made my first doctor appointment with my favorite OB, Dr. Henderson. It was the day of my appointment, I could feel butterflies in my tummy from you kicking and twirling around in your home... me. I had felt so close to her for months but today was the day I got to find out how far along I was. I was just shy of 4 months. I remember my blood pressure was very high and Pre-eclampsia had already set in. I didn't care. I was a fighter and I knew you were a fighter being blessed as my daughter. It was a girl! It was all I had ever wanted. I was in tears that first appointment. The bad news about me didn't matter. What mattered was your health. I was fragile, morning sickness was constant and I always craved sweets. You were my little sweet tooth. My second appointment came around 2 weeks later (at that time and the rest of the pregnancy I was so high risk I had to be seen every 2 weeks]. My health was looking gloomy and that was the moment Dr Henderson said I need to refer you to pregnancy specialists at the University of Washington. My first appointment was made. It was my day to visit the university, and they got right on top of taking lots of tests on myself and my angel. It seemed like a whirlwind. I got to see lots of pictures of you and my heart just melted. I was so in love. They decided I needed to have medications and a procedure done called a placental blood circulation. It was uncomfortable and painful for me, but I was assured it wouldn't hurt my baby. I had four procedures done over the weeks and the medication they put me on was making me feel awful. My fifth appointment at the university the doctor did his testing then asked to put me in a room. I told him I can't stay long because I have other kids and they are about to get out of school. He understood and told me we needed to have a serious talk. I needed to consider an abortion. A WHAT??!! I said "No, I'm too far along." He explained it is a special procedure in which I would give birth but she would be wrapped in seaweed as she is delivered and it would be considered a stillbirth (yes, you read that right). I told him absolutely NOT. I will go as far as I can in the pregnancy. I never returned back to the university again. I was disgusted, offended, and didn't understand why they wanted me to kill my daughter. Fast forward to February 2,2007. I still saw my regular OB in Seattle, I went in for my weekly appointment and checked if I was dilating. I was not. The doctor made no indications that something was wrong. I heard her heartbeat and it was strong. She just wasn't growing like she should be which would mean time in the NICU. February 3rd is here, It's my birthday and I get a call from the doctor saying we need to get admitted ASAP. Kylee's dad and I were confused, What changed from yesterday? When we got to the hospital they immediately got an ultrasound machine and her heartbeat was barely there. It was time to induce quickly. Kylee Kay Miller was born February 3, 2007 weighing 3 pounds 5 ounces and was 18 inches long. She passed just after she was born so she was considered deceased February 4, 2007. We didn't get any answers as to why this happened. They brought her into our room wrapped up. She was stone cold. Not crying for her parents or making any noise. Her dad and I both held her, cried together and alone. Her Aunt Nikki came and held her and said her goodbyes as well as a couple of our co workers. It was and has been a painful day for the last 11 years. I long to touch her, hold her, see all her accomplishments she would have made over the last 11 years. Over the years I have come to terms with what happened, why it happened and it has left a hole in my heart. We love you Kylee and I hope our story can help any other family that has gone through or is currently grieving the loss of their baby. These words of love are for you, Our beautiful little daughter who never had a chance to bloom in this life. You were a seed that grew in my womb, That never let the sun spread your joy to a world of our love for you. We miss your life with us but will always have our own quiet and peaceful memories of you as you lay still. Your father and I, our spirit at that moment blessing your small being with all of our hearts. Please let your own spirit be free and full, Knowing that someday in heaven all our spirits will shine in the sun together, and our grief will be no more.